We are three independent professional artists who have received extensive training in Golden acrylic paint systems. Our collectively vast exposure to teaching tools and materials provides new horizons for artists seeking an art education experience ranging from the beginner to the more advanced artist. We each have unique strengths to offer as teachers. 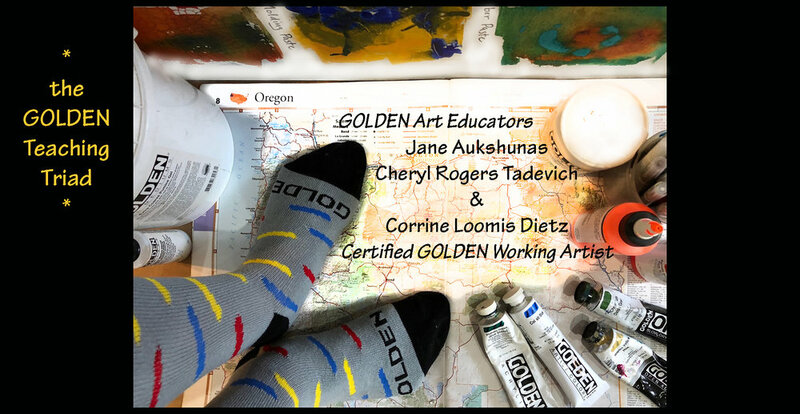 In addition to Golden training, we have a combined teaching experience of 65 years in areas such as painting practices, fiber arts and drawing. We are in the middle of the buzz!